These premium dog shade canopies are essential to reduce heat elevations in dogs. Instant, flat folding, ventilated shade. 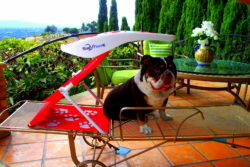 Adjustable canopies assist large or small pets. Shade 1,2,3,4 pets with long or shade adjustments. Perfect for outdoor events, on furniture, boats and yachts. Instant satisfaction for dog’s to unwind under . ShadyPaws Pet Shade in Persian Green. 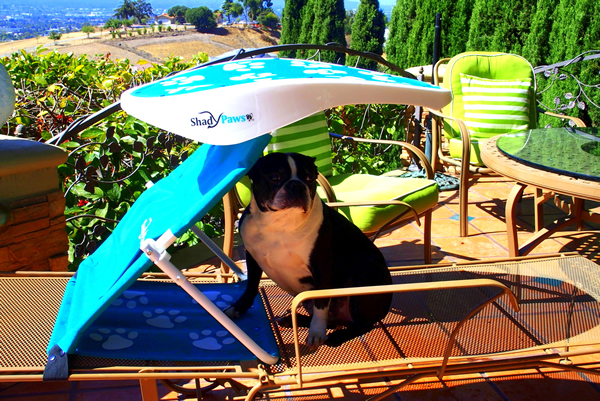 These premium pet shade canopies are essential to reduce heat elevations in dogs. Instant ,flat folding, ventilated shade. Adjustable canopies assist large or small pets. Shade 1,2,3 or 4 dogs with adjustable canopies . Perfect for outdoor events, on furniture, boats and yachts. Instant satisfaction for dog’s to unwind under . 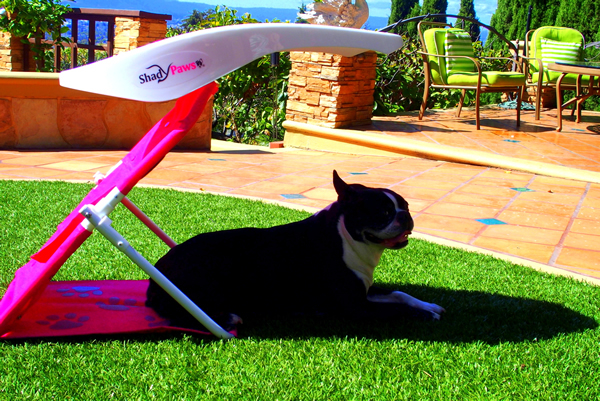 ShadyPaws Pet Shade in Fuchsia Pink.